Employees always find it humiliating to be questioned about how they spend their time during the day, and understandably so. They would like to think they are responsible and productive on their own. From a manager’s aspect, this is extremely difficult – tracking employee time. 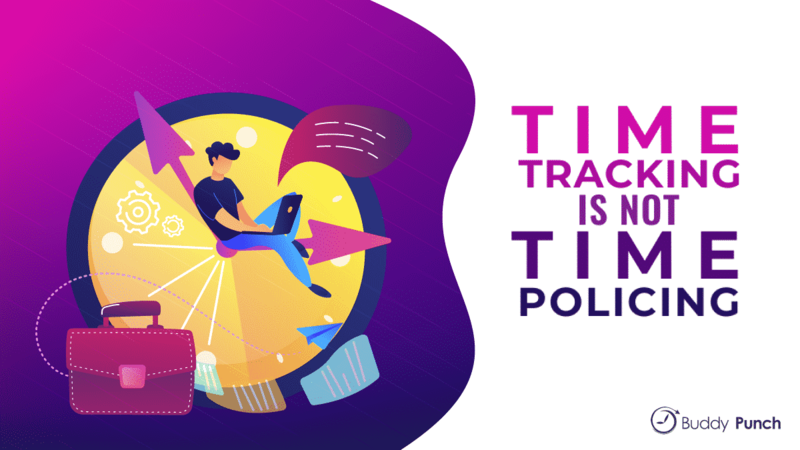 Businesses around the world lose billions per day in untracked employee hours – $7.4 billion per day, according to a Harvard Business Review report. Managers know first-hand how lost time impact’s the business’s revenue, and it is essential that employees know as well. The tricky part is to convey this to employees without them feeling as if they are being micromanaged but empowered instead. What is the best way to do this? The importance of communication cannot be stressed nearly enough. First of all, employees must clearly understand the link between their time productivity and business revenue. If the business does well, they will, too. You must take the time to communicate and show them how time tracking directly affects them. This can be a bit tricky, however, as most employees tend to be suspicious that they are merely being monitored because they are not trusted. Trust is crucial on both the employer’s side and employee’s side. The “Open Door Policy” is something to strive for as it is merely good management to ensure that employees feel comfortable going to management with issues or concerns when necessary. Having time tracking goals is terrific, but unless you have adequate systems and guidelines in place, they will be useless. Reports will not be accurate if employees are not entering information correctly. Set clear guidelines – in writing is best, so employees can reference the proper codes, tasks, and labels correctly until they are comfortable with the system. Keep things as simple as possible. Most importantly, be sure to communicate the importance of the guidelines and why they are essential. Illustrate how incorrect input affects others processes and reports. Remember the adage: “A picture’s worth a thousand words.” Visual charts or graphs are great ways to illustrate this. If the time tracking system is set up correctly, it should be straightforward for your employees to participate. However, there are always going to be questions and concerns with anything new. Be sure employees feel comfortable asking for help – provide a “judgment-free” zone. Understanding is half the battle; if employees do not understand the system, they will not use it. Employees need to feel empowered – like they have some value – instead of feeling like they are being treated like a child. Positive reinforcement is always best. With a proper time tracking system in place, it is easy to discover who the unproductive employees are. However, it is just as simple to see which employees are utilizing the system properly and effectively. If you have some form of internal communication (like a tv screen in the office or some type of interoffice message board system), try publicly recognizing those who are using the system properly. Financial gifts for positive behavior is a great incentive, but if that is not a possibility for your business, there are other benefits that you can offer. For example, you can provide a day off or allow early clock-out for a week, award movie tickets, etc. This will encourage those using the system properly to continue doing so, and it can also prove as an incentive for others to “step it up” and improve their performance as well. A little bit of competition is good for morale. As a side note, remember that your time tracking data should not be used for public shaming. Problem areas should be taken care privately. Management must try to build the employees’ trust, not break it. No one knows the internal working of your business better than your employees. Take advantage of their expertise and ask them for feedback – on processes and procedures, management styles, incentives, etc. The same goes for the introduction of new time tracking techniques. Ask them for input on how the system is working for them and what can make the process even more effective. It is proven that when management and leadership show that they value their employees’ input and feedback, employees are happier in the workplace and more productive. Your workforce needs to feel like they are a valued part of the team.